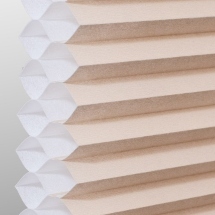 Blinds Chalet Premier Cell Shades are the best quality cell shade available today. 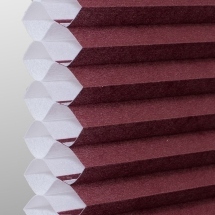 This is a soft luxurious double cell shade fabric that will compliment any decor. The fabric does not look like paper like many other brands. 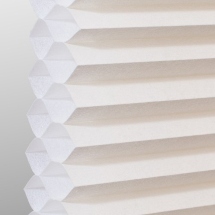 Designed to give a real fabric look and yet still be durable and easy to clean. Color coordinated headrail on standard lift. Slight variation may apply. W: 7" 8" 9" 10" 11" 12" 13" 14" 15" 16" 17" 18" 19" 20" 21" 22" 23" 24" 25" 26" 27" 28" 29" 30" 31" 32" 33" 34" 35" 36" 37" 38" 39" 40" 41" 42" 43" 44" 45" 46" 47" 48" 49" 50" 51" 52" 53" 54" 55" 56" 57" 58" 59" 60" 61" 62" 63" 64" 65" 66" 67" 68" 69" 70" 71" 72" 73" 74" 75" 76" 77" 78" 79" 80" 81" 82" 83" 84" 85" 86" 87" 88" 89" 90" 91" 92" 93" 94" 95" 96" 97" 98" 99" 100" 101" 102" 103" 104" 105" 106" 107" 108" 109" 110" 111" 112" 113" 114" 115" 116" 117" 118" 119" 120" 121" 122" 123" 124" 125" 126" 127" 128" 129" 130" 131" 132" 133" 134" 135" 136" 137" 138" 139" 140" 141" 142" 143" 144" 0/0"1/8"1/4"3/8"1/2"5/8"3/4"7/8" H: 5" 6" 7" 8" 9" 10" 11" 12" 13" 14" 15" 16" 17" 18" 19" 20" 21" 22" 23" 24" 25" 26" 27" 28" 29" 30" 31" 32" 33" 34" 35" 36" 37" 38" 39" 40" 41" 42" 43" 44" 45" 46" 47" 48" 49" 50" 51" 52" 53" 54" 55" 56" 57" 58" 59" 60" 61" 62" 63" 64" 65" 66" 67" 68" 69" 70" 71" 72" 73" 74" 75" 76" 77" 78" 79" 80" 81" 82" 83" 84" 85" 86" 87" 88" 89" 90" 91" 92" 93" 94" 95" 96" 97" 98" 99" 100" 101" 102" 103" 104" 105" 106" 107" 108" 109" 110" 111" 112" 113" 114" 115" 116" 117" 118" 119" 120" 121" 122" 123" 124" 125" 126" 127" 128" 129" 130" 131" 132" 133" 134" 135" 136" 137" 138" 139" 140" 141" 142" 143" 144" 145" 146" 147" 148" 149" 150" 151" 152" 153" 154" 155" 156" 157" 158" 159" 160" 161" 162" 163" 164" 165" 166" 167" 168" 169" 170" 171" 172" 173" 174" 0/0"1/8"1/4"3/8"1/2"5/8"3/4"7/8"
You can upgrade to a cordless lift with this product but it comes standard with a lift cord. What is the R factor? Our manufactures have spotted measuring R-Values but the last time the product was tested it was listed as a 4.0 R- Value. 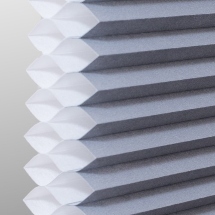 What type of shade is best for noise reduction? 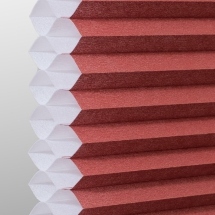 The double cell shades are great for the noise reduction and insulation. The double cell have more of an advantage vs. the single cell. It is more your preference as to which one to go with in the color options. Are these double layered cells, and are they room darkening shades? 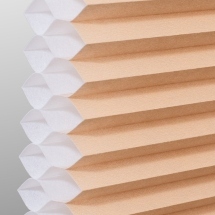 They are double cell shades, meaning they have 2 honeycomb cells layered together. 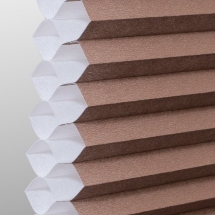 These shades are a light filtering fabric. Very nice shades. Delivery was exceptionally fast. Happy with my purchase. Will be purchasing more shades for the remaining windows. The free samples are very helpful in ensuring selection of the appropriate color. Thank you for an excellent experience. 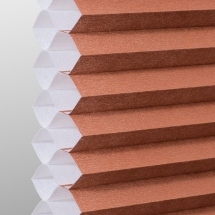 The honeycomb shades look and work really well. 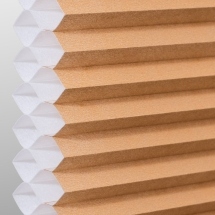 The honeycomb shades look and work really well. 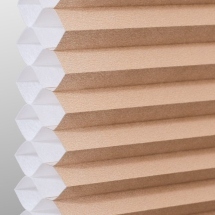 I'm glad I went with Blinds Chalet after receiving multiple quotes theirs was the cheapest. The shipment arrived well packaged without any damage. From Measuring to installation the process was easy and straight forward. 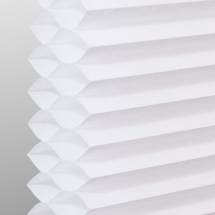 I had three of these blinds in my living room window for 7 years. 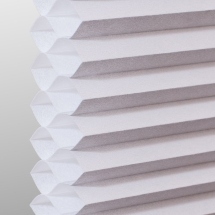 I had three of these blinds in my living room window for 7 years. The the middle blind, 53 7/8 inches long broke one of the stings. I purchased a new one last month and have not had it less than a month when the same string broke again. This time the small plastic piece that holds the two strings together snapped and cut the string. So because the strings are under the warrantee the company replaced the blind again. 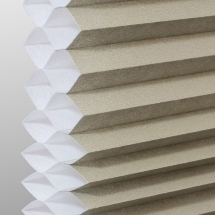 They are the best blinds I have ever had and I love the insulating value of the hexagon design. We purchased 14 of these in various sizes. We purchased 14 of these in various sizes. 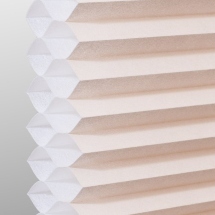 Arrived quickly, fit perfectly and were super easy to install.12 of the windows are very large and these blinds do a good job insulating against the cold. Very high quality shade. We ordered a top down bottom up cordless shade. Fit perfectly. Easy to install. Highly recommend. 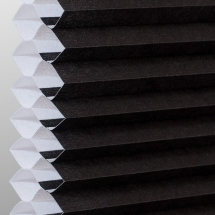 Because large blinds are difficult to raise and lower, the 2 on 1 and 3 on 1 headrail allows multiple smaller blinds to share a common headrail and valance. 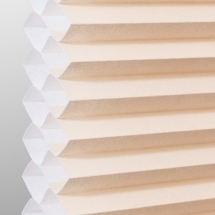 This gives the overall blinds a cleaner appearance. Designed for easier lifting of those larger blinds. This upgrade has a looping lift cord rather than the standard single cord lift. 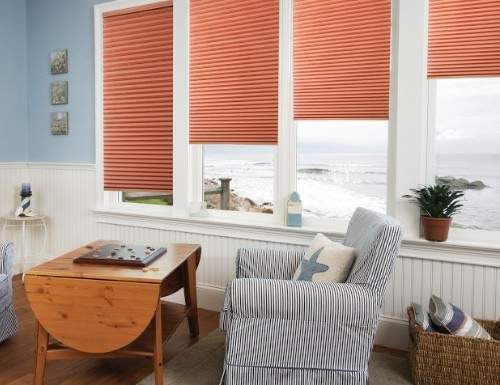 On smaller shades, minimum cord length is 24 inches. Note: Cell shade continuous cord loop headrails are color coordinated to match your shades but may not be an exact match. Note: Cell shade cordless headrails are color coordinated to match your shades but may not be an exact match. Combine two of the most popular upgrades on the same shade. 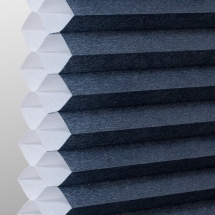 Raise from the bottom up or lower from the top down the shades without any lift cords. Note: Cell shade cordless top down bottom up headrails are color coordinated to match your shades but may not be an exact match. 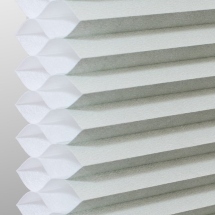 Get your blinds made in 2 business days(M-F). Production begins the following business morning after your order is placed. Lower the shades from the top or raise them from the bottom. This option allows you to do either or both at the same time. 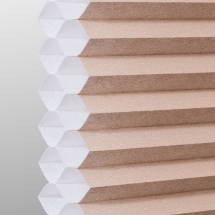 Lower your shades from the top allowing for privacy while the shades are partially open. Note: Two separate cords on opposite sides of the shade. Can only come with lift cord on the right and the top down cord on the left. Cell shade with top down bottom up headrails are color coordinated to match your shades but may not be an exact match. 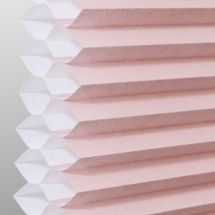 The wand motorization is ideal for child safety with no lift cords. With the press of a button raise and lower the shades with ease. Simply press and hold the button to raise or lower the shades and release to stop at the desired position. 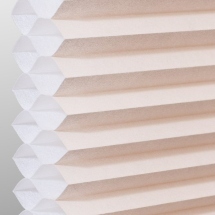 The wand motorization operates with a battery powered motor. 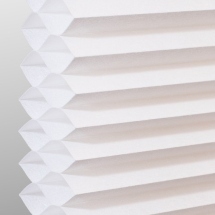 Hold downs are used to tie the bottom of the window blinds. 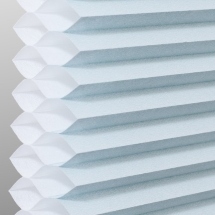 This is used for applications such as french door blinds to keep the blinds from moving when closing the door.